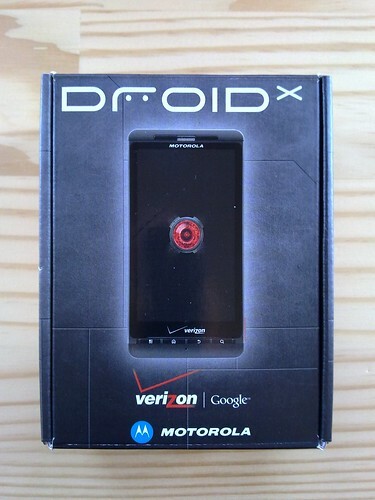 Hot on the heels of my videos of the Motorola Droid X, here are my unboxing pictures (slide show). I’ll have a camera review up in the near future – until then, here’s a great review of the latest superphone. Nice gallery, very detailed, I like that. I try to take all the pictures for my blog with cameraphones – just to prove a point. Would you say that this is the best offering in its class. Looking for a new phone to replace the poor reception I get with my iphone. It’s up there with the Nexus One, EVO 4G, and iPhone 4. Hello, great unboxing and start up videos! I really liked how carefully you compared the phones to the competitors and how objectively you did it. This is my first time on your site, and I have found it informative. I have an iPhone 3G right now that is having software problems, memory and battery issues. I mostly leave it on the Edge network all the time to conserve battery unless someone sends me a photo, and mainly use the device for email, news, web, calendar, text and call features. My iPhone 3G won’t update to the new software, and it’s about on it last legs. Would you recommend this phone to me as someone who has never had an android phone, due to your earlier reply about the battery? I’m intrigued by the possibility of an android phone with a front facing camera for the holidays, I have not heard anything but it would be a smart offering come the gift-giving season, so I also wonder if I should try to wait for that. Thank you, and have a great day!